The Motivated Networker has been endorsed by Dr. Ivan Misner, Founder of BNI (Business Network International) – The world’s largest business networking organization. About the book: The Motivated Networker is a direct-to-the-point guide for networking during a job search. When 60% to 80% of all jobs are filled through some form of networking, mastering the skill of networking is imperative to success in landing a new job in the shortest time possible! Brian Howard provides an easy to understand and easy to execute approach for networking in a real-world job search. 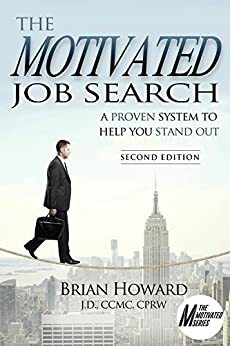 Based on years of front-line recruiting experience helping thousands of job seekers find hidden job market openings leading to job offers, the book gives you a distinctive competitive edge by teaching networking techniques that will create job leads, interviews and a fulfilling career position! The book can be ordered on the publisher’s website, WriteLife Publishing or through Amazon.